Above - The Regent Cinema, Blackpool in September 2016 - Courtesy Alfred Mason. 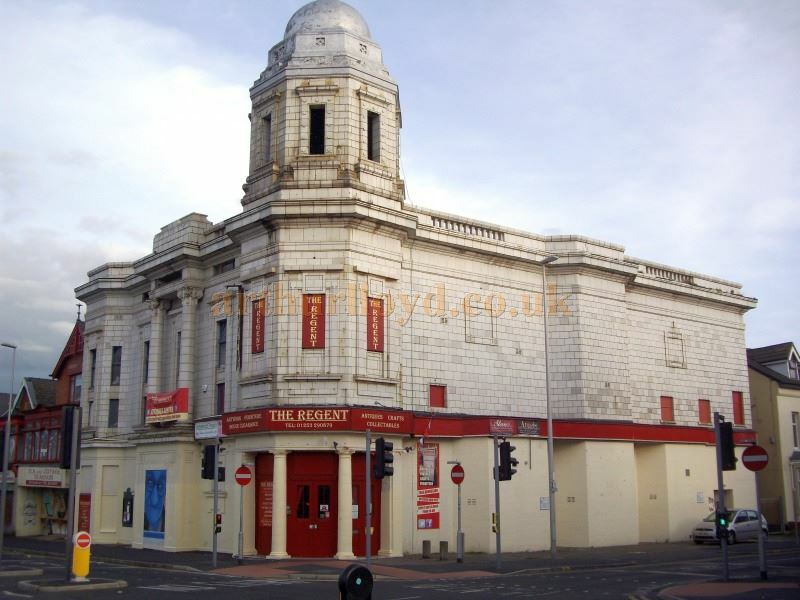 The Regent Cinema is situated on Church Street, Blackpool, and first opened as the Regent Picture House on the 17th of January 1921. 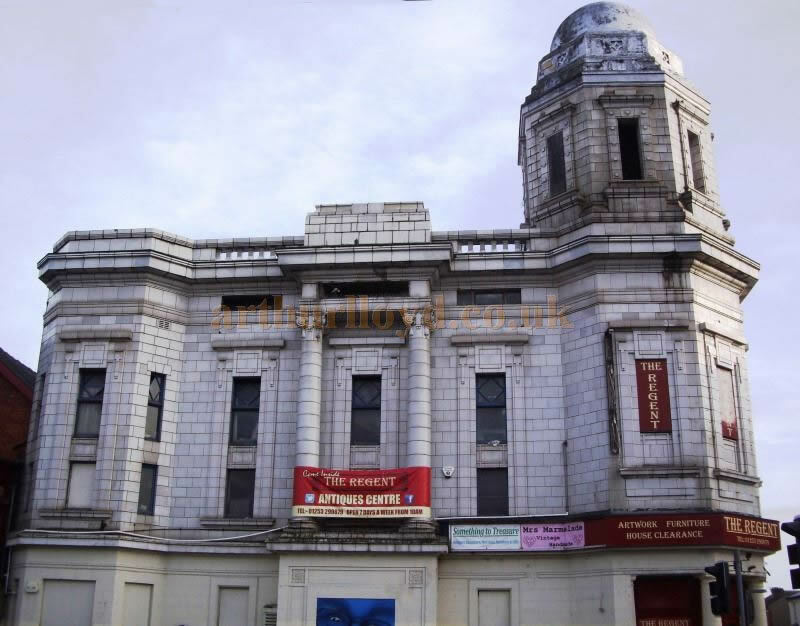 The Theatre was designed by Lambert & Watton and is faced with Middletons Fireclay Ceramo tiling which has survived well over the ensuing years. The auditorium was built on two levels, stalls and one circle, and it had a flat roof which could be opened for ventilation purposes. In 1969 the Cinema went over to part time Bingo use and by August 1973, under Coral's ownership, Bingo became full time. 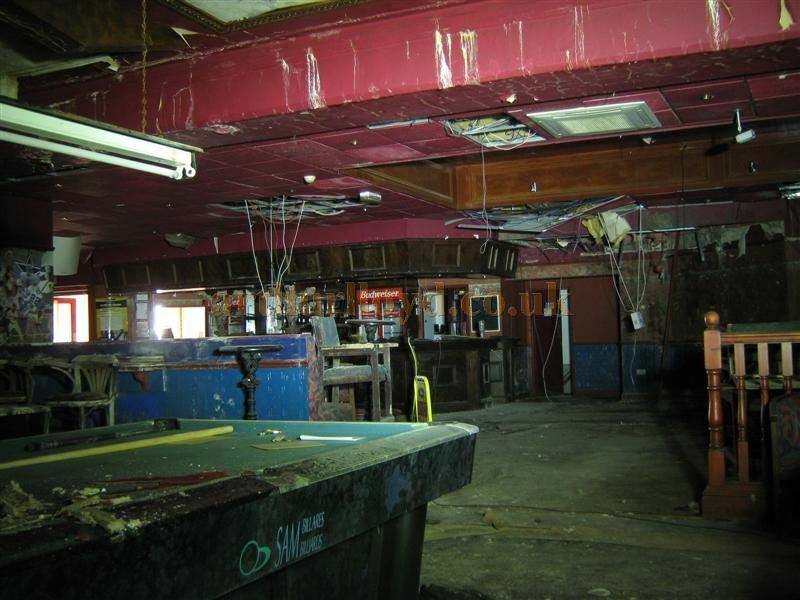 During its Bingo years several refurbishment took place, including leveling the stalls floor and knocking into the building next door to enlarge the entrance and improve the facilities. Bingo finally ended at the Regent when its then owners Gala Bingo closed it in 1993. 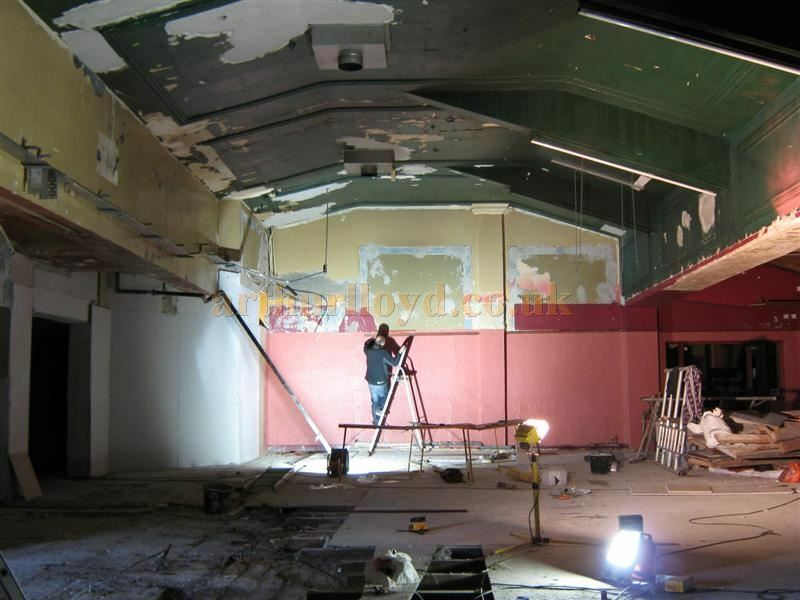 The Theatre was later used as a Pool and Snooker Hall from 2007 and a suspended ceiling was installed at balcony level, which helped to preserve the features above it. Later still the Theatre became Riley's Bar, but this closed down in 2010. 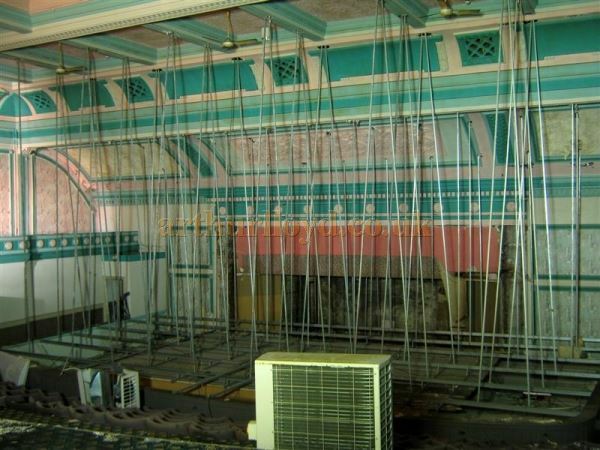 Right - The auditorium of the Regent Cinema, Blackpool before the false ceiling was removed - Courtesy K.R. As of September 2016 the stalls area of the Cinema is in use as an antiques centre, set up by Rick Taylor in 2014, and films are being shown in the Cinema's former Circle, which was rebranded as 'The People's Cinema' when it opened in 2016. You may like to visit the Regent Cinema's own Website here. Above - The Regent Cinema, Blackpool in November 2013 - Photo M. L.
Above - The auditorium of the Regent Cinema, Blackpool during its renovation in 2013 - Courtesy K.R. 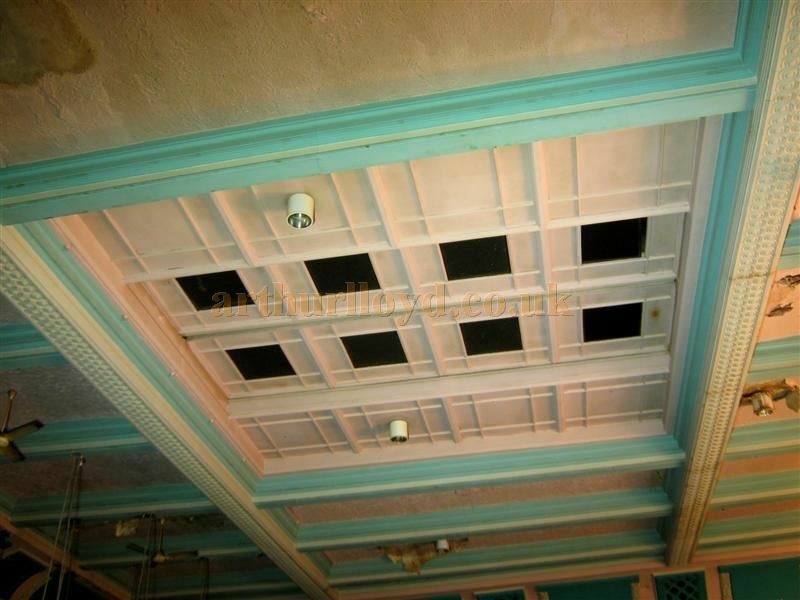 Above - The auditorium ceiling of the Regent Cinema, Blackpool during its renovation in 2013 - Courtesy K.R. 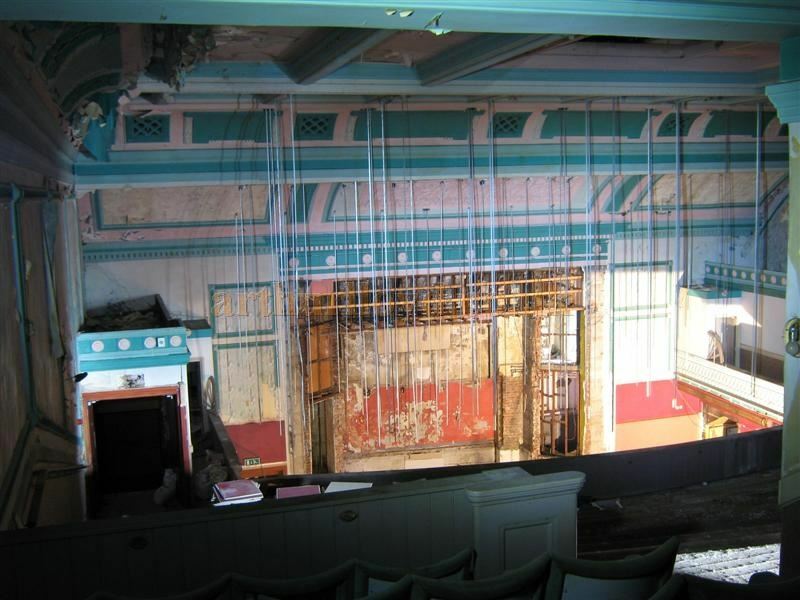 Above - The Regent Cinema, Blackpool during its renovation in 2013 - Courtesy K.R. 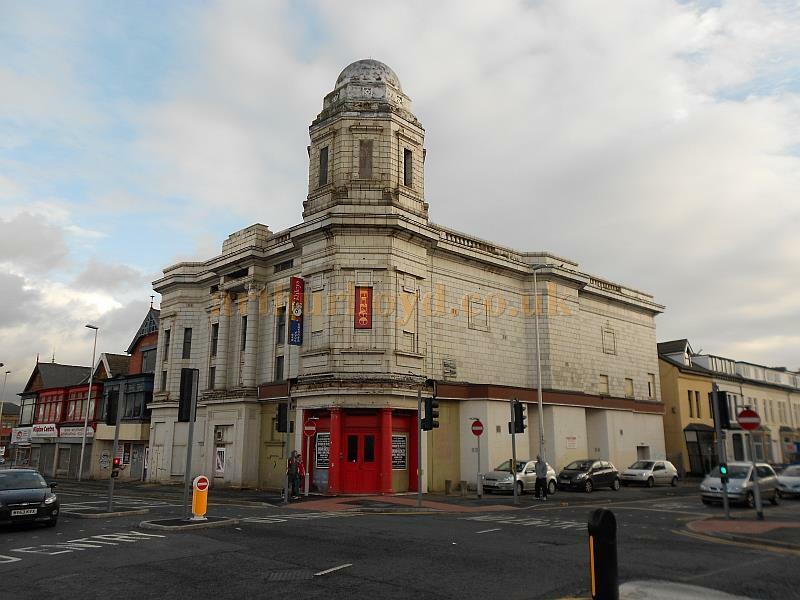 Above - The Regent Cinema, Blackpool before its renovation in 2013 - Courtesy K.R.